Looking to do more on a budget? Keep your flooring project rolling with Baggett Carpet Service. With the looks, durability and value of our great selection of carpet, hardwood, luxury vinyl tile and luxury vinyl plank, combining quantity with quality will never be easier. 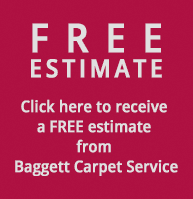 Baggett Carpet Service is locally-owned and operated in Clarksville, TN with over 30 years of experience in the floor covering industry. From your business to your home, we have a solution for your flooring needs. Are you having trouble deciding how to pick out the best flooring for your home or business? Our sales associates will help you find the best flooring at the best price that fits your needs. Contact us today to set an appointment with one of our specialist.